Mission: The Missouri State Board of Accountancy is to protect the interests of all the citizens of the state of Missouri, as provided in Chapter 326, RSMo, by examining, certifying, licensing and regulating certified public accountants and public accountants, and firms of certified public accountants and public accountants in the state of Missouri. The Board promulgates rules necessary to administer the provisions of Chapter 326, RSMo to ensure the competence and ethical standards of practitioners; regulates and enforces the practice of public accounting; investigates and violations of Chapter 326 RSMo and related rules; and determines appropriate discipline for those who are found to have violated the statutes or regulations. 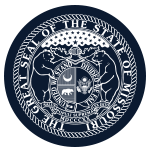 Function: The Missouri State Board of Accountancy prescribes rules and regulations consistent with the provisions of statute. Compensation: Members receive a per diem not to exceed $70 for each day devoted to the affairs of the board and reimbursement for realized and necessary expenses. Member Requirements: 6 members must be certified public accountants and 1 must be a public member.